Showing 47 articles from November 11, 2015. LOUISBURG -- The Franklin County Board of Education formally adopted its $83.8 million budget for the 2015-16 school year Monday night but not before hearing a warning from its finance officer that finances are headed in an unsustainable direction. "We have now had eight years of 'hard plowing' with regard to education funding and budgeting in Franklin County," Doug Moore, assistant superintendent for business and finance, reminded the board as he outlined some of the challenges being faced. DURHAM -- A local organization bent on stamping out domestic violence and sexual assault was recognized as one of the best in the state at meeting that challenge. 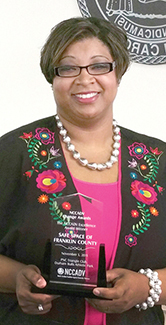 The North Carolina Coalition Against Domestic Violence (NCCADV) presented Safe Space Inc. with its Excellence Award -- recognizing the Franklin County group's focus and efforts to reduce relationship violence. RALEIGH -- The State Supreme Court reversed a court of appeals decision, clearing the way for two Youngsville businessmen to open a shooting range in Franklin County. The ruling ends a battle that Aaron Byrd and Eric Coombs first waged in the commissioners' room in the fall of 2012 before taking the matter to the courts in 2013, arguing that they had the right to operate a shooting range and the county's Unified Development Ordinance did not prohibit the activity. Lifelong Louisburg resident and former Mayor Lucy Allen was presented the Louisburg Historic District Neighborhood Association's highest honor Sunday night, the Century Award, at its annual award presentation dinner. The award recognized her for a variety of historic preservation efforts, the most important of which was leadership, the award noted. As mayor she led the effort to establish and protect the current historic district establishing the Historic Commission. 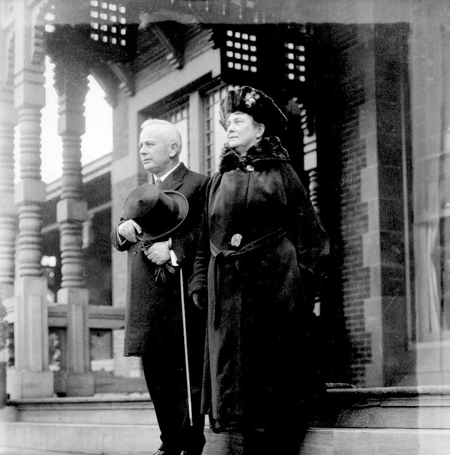 Lucy, along with Felix Allen, purchased deteriorating homes close to demolition. Interesting election last week, even if it was relatively small since a majority of Franklin Countians cannot vote in municipal elections. Some of us radicals have long contended this is patently unfair since we own or operate businesses in communities where we have no voice in how they are being run. A couple of hundred years ago, our forefathers called this "taxation without representation" and took up arms against the King of England to change things. When health care giant Novant unceremoniously and somewhat unexpectedly closed Franklin County's only hospital last month, the reaction around the community was mostly stunned silence. But while some may say the loss of the hospital is unfortunate but not a crisis, a comment from lan Morgan, chief executive officer of the Kansas-based National Rural Health Association, is worth contemplating. I've been around enough courtroom proceedings to know that in the halls of justice, it's not what you know or what may have happened -- it's about what you can prove. That's the general rule of thumb in criminal matters. In civil matters, particularly when its related to governmental control, it usually comes down to the interpretation of the ordinance or rule. And, most importantly, it comes down to what someone is willing to challenge or defend. 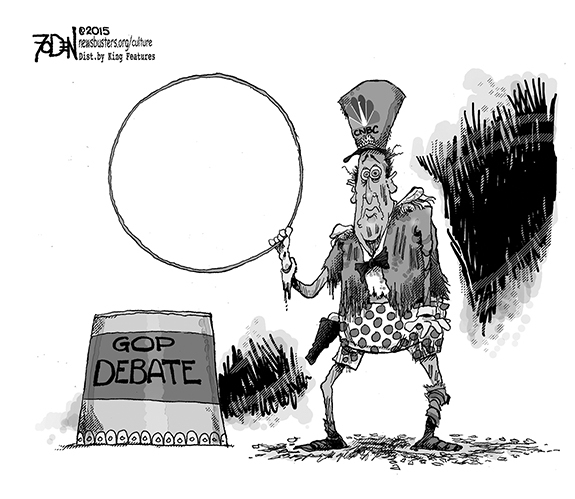 Were forms too complicated for McCrory to understand? The difficult part of writing political "op-ed" columns is not finding material; it is deciding which topic to write about. I had planned to do a series on the North Carolina budget, but other things keep popping up. The last fortnight or so has not been good for the Governator and the details are simply too juicy to pass up. The good news from his perspective was that an Ethics Commission cleared him of any wrongdoing in previous alleged transgressions. Without a hospital, we have to pay in money or lives! Well, here we go again. Novant strikes once more. After firing some of the physicians, or several left on their own, they closed the hospital and on Dec. 7, Perry-Medders Clinic also will close. Did they really give the county $1.63 million? They will still gain; what a tax break they will get. Why push for voter IDs? Daffy (not her real name) was afraid she would not be able to renew her driver's license. She's almost 80 years old, doesn't see well, is deaf as a post, and is a member of a group that generally votes Democratic. She had reasons to be concerned about Republican efforts to curb voting rights by requiring Voter IDs. ZEBULON - Donnie Bruitt Bunn, 65, died at his home on Tuesday, Nov. 10, 2015. 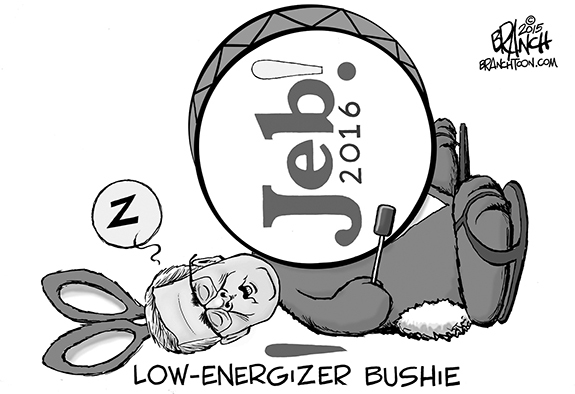 He was preceded in death by his parents, Kirby Bruitt Bunn and Varina Perry Bunn. YOUNGSVILLE - Louis Douglas Yeager passed away on Sunday, November 08, 2015 in his home, completing his earthly journey as he wanted: independent, proud, stubborn and never wanting to be a burden to others. He loved spending time with his children and spoiling them, much to their mother's dismay. SURE TACKLE. Bunn's Marquez Jones (42) comes up with a tackle on a kickoff return during last Friday's home football victory over Warren County. 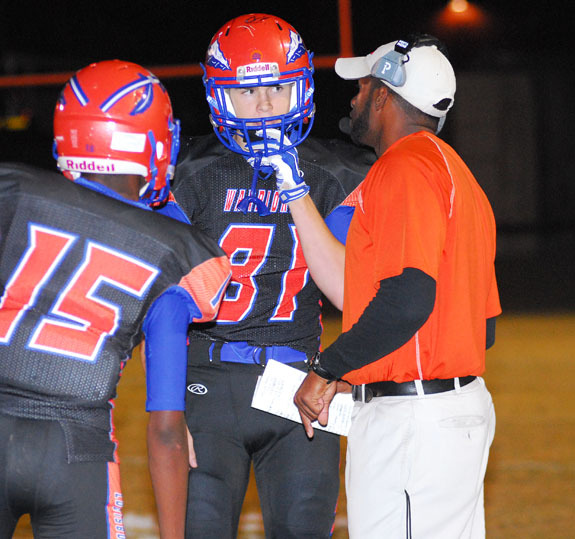 The Wildcats will host East Davidson this Friday in first-round playoff action. 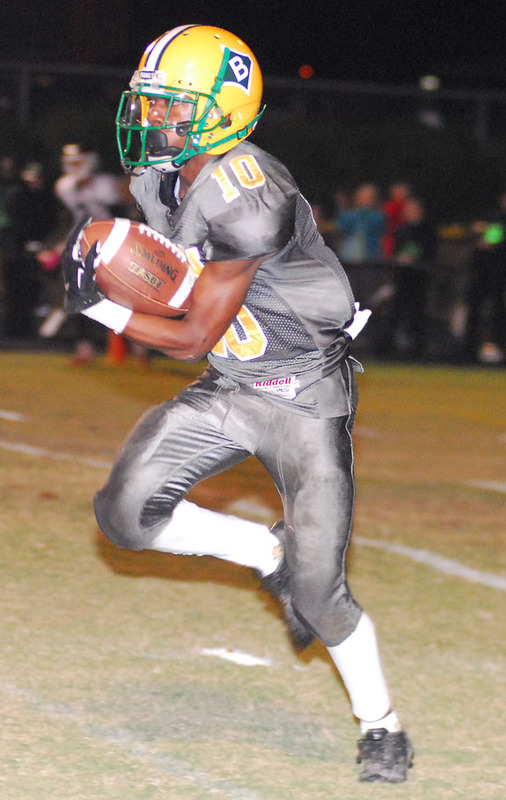 BUNN -- Another offensive explosion, an outright Northern Carolina Conference Championship and the 200th career victory for Coach David Howle -- it was quite a night last Friday for the Bunn High School football squad. Bunn wrapped up its regular season schedule by rolling past Warren County by a 69-32 total at the BHS Football Field, marking the 200th victory in Howle's prolific career. BALANCING ACT. Louisburg College's Max Blackmore stays on his feet and eventually scores off the ensuing shot during last Friday's district tournament victory against Darton State at Ronald May Field. 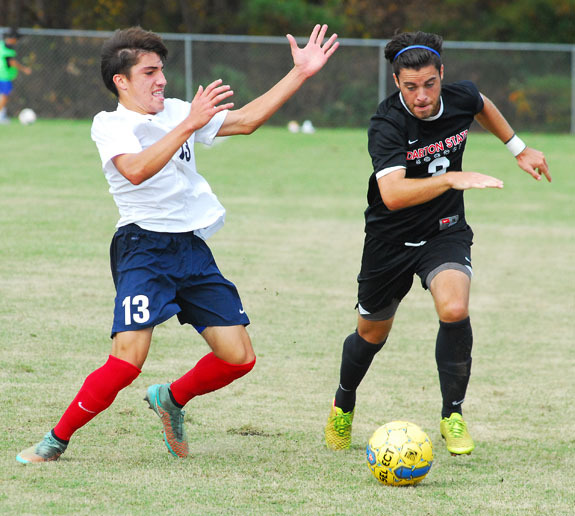 LOUISBURG -- While hoisting the district championship plaque certainly would have been a momentous event, the Louisburg College men's soccer team has a much larger prize in mind. That's why the opening round of the District Tournament provided a much more important opportunity last Friday for the Hurricanes at Ronald May Field on the LC campus. RUNNING ROOM. Louisburg College's Raekwon Harney (with ball) looks for space during last Friday's home matchup versus Brunswick CC. 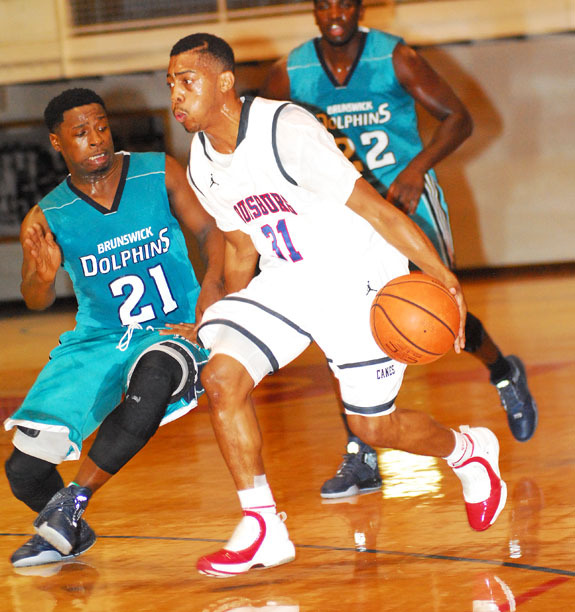 LOUISBURG -- Rare are the occasions in recent years when the Louisburg College men's basketball squad has gone through a two-game losing streak -- especially at home. But that was the dilemma the Hurricanes encountered Sunday as they hoped to avoid an uncharacteristic 0-fer weekend. And an old friend was on the opposing sideline as former Louisburg College head coach John Meeks returned to Taylor Center with his Wallace-Hanceville club out of Alabama to wrap up action at the annual Roger Taylor Classic at the Taylor Center. 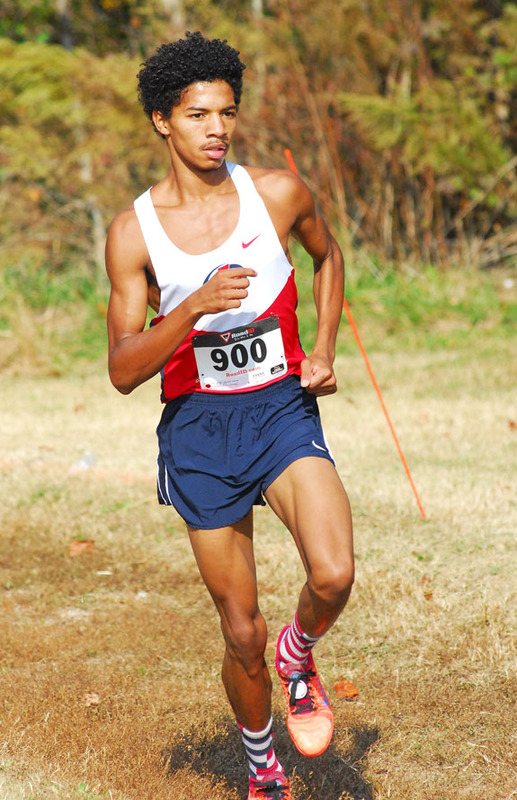 LOUISBURG -- Just two seasons into its re-existence, the Louisburg College cross country program expects to be an impact performer at this weekend's National Junior College Athletic Association National Tournament. LC head coach Jay Koloseus is looking for the Hurricanes to be competitive in both the men's and women's events on Saturday in Fort Dodge, Iowa. FRANKLINTON -- Needing a victory to punch their ticket to the Class 2-AA State Playoffs, the Franklinton Red Rams got the job done last Friday at home against Southern Vance. 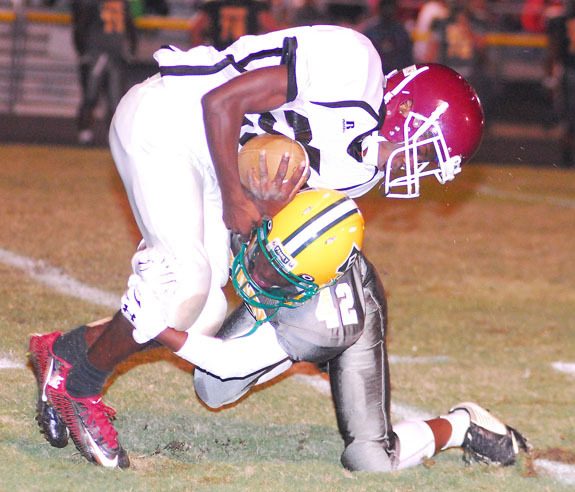 Franklinton scored on its opening possession and never looked back en route to drubbing the Runnin' Raiders by a 42-0 total at the FHS Football Field. The triumph wrapped up a postseason berth for Franklinton, which is now 5-6 overall to go with a 2-3 mark in the Northern Carolina Conference. 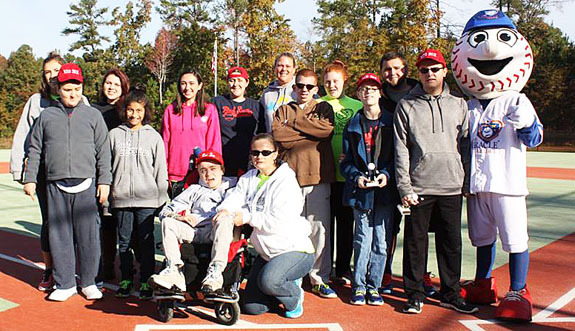 YOUNGSVILLE -- The Miracle League of Franklin County finished up its Fall Season on October 31. Participants from Wake, Vance, Warren, Granville and Franklin counties participated during the event. 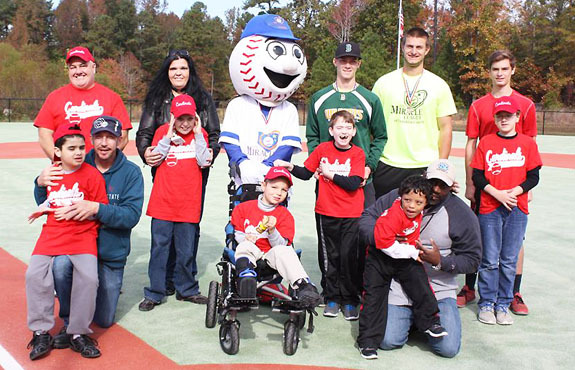 Games were played at the Miracle League Field at Long Mill Elementary School. 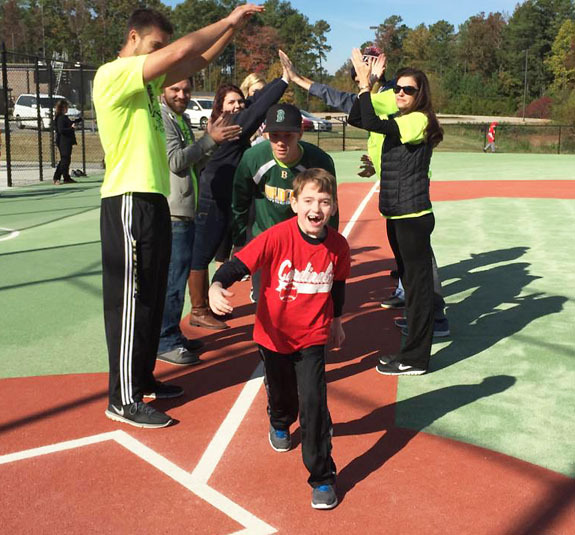 The 48 players participated in the season "Home Run Derby" in which every player hits a "home room" and runs through an archway of Buddy Volunteers lines up from third base to home plate, where the coach is waiting with the trophy. WELDON -- Louisburg hoped a victory last Friday at Weldon would cap a two-game winning streak for the Warriors to close the regular season -- and maybe even catapult them into a spot in the Class 1-AA State Football Playoffs. But it didn't work out that way as Dontae Lassiter's first season as Louisburg's head coach was wrapped up with a 62-14 setback on the road against the Mighty Chargers. FRANKLIN COUNTY -- Franklin County's three high school boys soccer teams each reached the state playoffs -- and two of them advanced past the first round of action in their respective classifications. On the Class 2-A level, Bunn kicked off its postseason last Wednesday with a 7-1 thumping of homestanding Randleman near the Triad. Bryan Reyes came through with the hat trick to spark the Wildcats. Gabe Gonzalez chipped in with a pair of markers, and Christian Guzman and Mason Makar also found the back of the net. 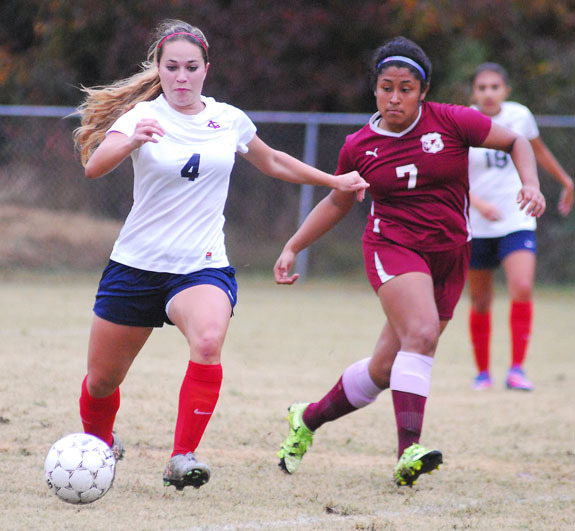 LOUISBURG -- Louisburg College enjoyed another successful women's soccer campaign this fall, and several local performers played key roles for the Lady Hurricanes. Atop that list was Franklinton alum Hannah Rayman, who starred as a freshman frontliner for the Lady Hurricanes. Rayman notched 11 goals and provided a strong offensive presence for Louisburg, which went 11-6 overall under veteran coach Andy Stokes. ROCKY MOUNT -- The fifth annual Spike Hyzer Invitational Championship Disc Golf Tournament will be held Nov. 14-15 in Rocky Mount. Action will take place at courses at Sunset Park, Farmington Park and the Rocky Mount Sports Complex. The tournament serves as a season-ending championship event for the Spike Hyzer Tour, which features a series of 10 tournaments across North Carolina, South Carolina and Virginia. BUNN -- Bunn High School's boys and girls basketball schedule will begin Dec. 1 at home against backyard rival Louisburg. RALEIGH -- Doug Warf, Vice President of Marketing for the Carolina Hurricanes and Executive Director of the Kids 'N Community Foundation, has announced that tickets for the annual Skate with the Canes and Casino Night presented by PNC, will go on sale for season-ticket holders today at 10 a.m.
Tickets for the general public will go on sale on Nov. 13 at 10 a.m.
Skate with the Canes will take place on Sunday, Jan. 10 from 1:30 p.m.-4 p.m. and Casino Night will take place on Sunday, March 6 from 6 p.m.-10 p.m.
Bunn's Victor Dunston returns an interception 100 yards for a touchdown during last Friday's home football victory over Warren County. VAUGHAN'S USED CAR CARDINALS. (L to R) Coach Tom Flaherty, Noah Thompson, Dad Todd Thompson, Mom Catherine Barnard, Chas Barnard, Homer (mascot), Matthew Wuchich, Buddy Austin Medlin, Aidan Medlin, Dad Stacey Pennix, Kai Penix, Buddy Spencer Brickhouse, Cody Calvery, Absent from Picture: Sofie Boyd, Summer Boyd, Eamonn Flaherty, Cassie West, Braxton Young, Bryson Jackson. PACIFIC ORGANICS RED SOX. (L toR) Buddy Taylor Henrie, Taylor Smith, Buddy Meaghan King, Cielo Hernandez, Buddy Emily Lagnese, Branson Reavis, Buddy Chris Strum, Jessica DeBuhr, Coach Courtney Schneller, Austin Schneller, Buddy Jena Schneller, Logan Reid, Buddy Colton Young, Kevin Mitchell, Homer (Mascot). Absent from photo: Coach AJ Schneller, Tiffani Ehlenfield, Pierce Jernigan, Steven Norton. 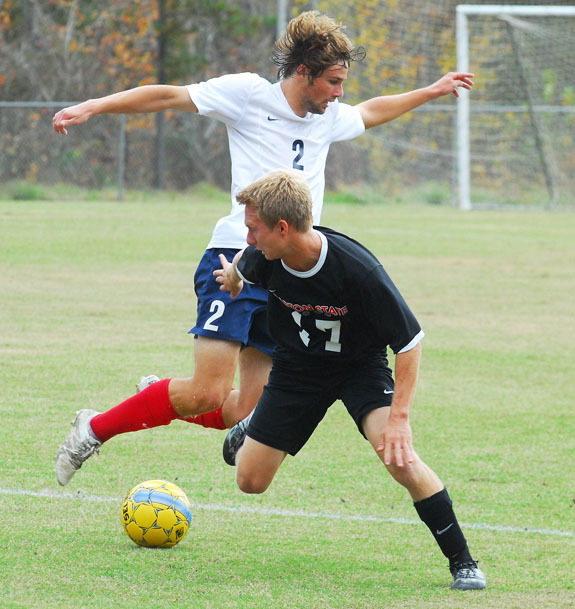 Jaric Spath (2) and the Louisburg College Hurricanes will be in action next Monday in the opening round of the National Junior College Athletic Association National Men's Soccer Tournament, which will be held near Martinsville, Va. Louisburg College is currently ranked No. 1 in the nation. 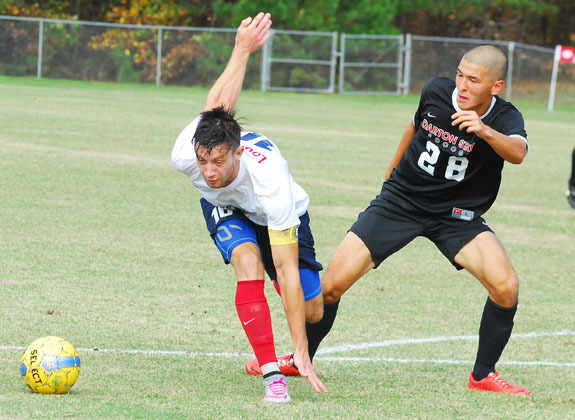 Louisburg College's Sam Popp (left) reacts to being fouled during last Friday afternoon's match against Darton State as part of the District Men's Soccer Tournament, which was held at Ronald May Field on the LC campus. 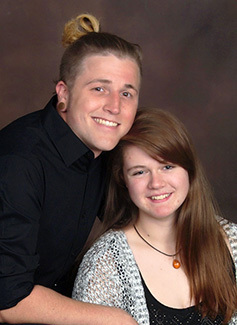 Joseph and Barbara Stephens of Franklinton announce the engagement of their daughter, Catherine Susanna Lee Stephens, to Cody Auston Christensen, the son of Carol Ann Christensen of Chapel Hill. The wedding will take place on Jan. 16, 2016 in Asheville. LOUISBURG -- In addition to approving its budget for the current school year (see related story Page 1) the Franklin County Board of Education saluted its assistant principal of the year Monday night and handled a number of other fairly routine items. 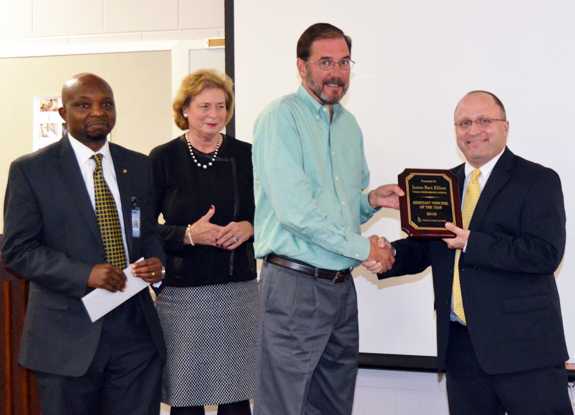 Honored as Assistant Principal of the Year was Cedar Creek Middle School's Bart Elliott. His surprise selection actually came last week when Elliott was greeted in his school's gymnasium with cheers from students, teachers, and district leadership. LOUISBURG -- There was only one race close enough to warrant a recount, but since that request never came, elections staff made the November general election official Tuesday morning. Incumbent Louisburg Town Councilman George Manley lost a chance to retain his seat by seven votes -- meaning he could have requested a recount. He chose to let the Nov. 3 count speak for itself. LOUISBURG -- Police are looking for suspects in two reported break-ins. On Nov. 6, police responded to a break-in to a shed and closet door at the rear of a residence in the 400 block of Noble Street. Nothing was reported stolen on the report. The morning of Nov. 7, police responded to a break-in reported at a home in the 500 block of E. Nash Street. Army Reserve Pvt. Therell A. Frett graduated from basic combat training at Fort Jackson, Columbia, S.C.
During the nine weeks of training, the soldier studied the Army mission, history, tradition and core values, and underwent physical fitness. Frett received instruction and practice in basic combat skills, military weapons, chemical warfare and bayonet training, rifle marksmanship, armed and unarmed combat, map reading, field tactics, military courtesy, military justice system, basic first aid, and field training exercises. LOUISBURG -- Novant Health Franklin Medical Center shut down last month. One of its clinics will definitely close by Dec. 7. Another is expected to do the same. The county's health department, though, is open for business, its director and staff say. The pare back and closure of the hospital has impacted some services, such as its home health offerings -- which rely on hospital referrals -- but it places a greater focus on the department's child and family nutrition services and child care, services that were not a hospital focus, anyway. 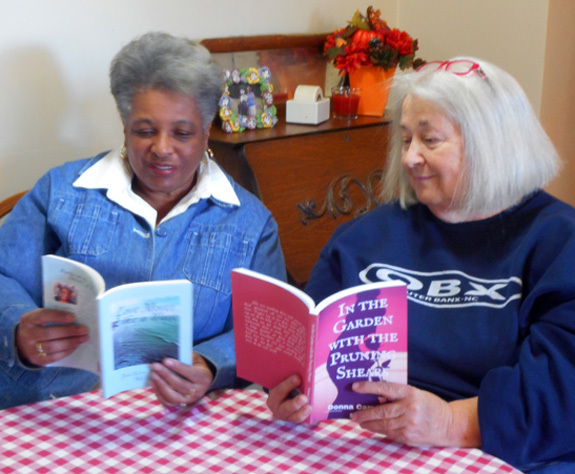 Authors Donna Campbell Smith and Jackie Dove-Miller are hosting a double book-launch party at the Franklin County Arts Council Gallery on Saturday, Nov. 14, between 3 and 5 p.m. and the public is invited. There will be drawings for door prizes and free refreshments. Signed copies of their books will be available for purchase. Both authors will also read excerpts from their books. LOUISBURG -- Police arrested three men on drug charges. According to a report by Louisburg Police Officer J. Steinbrunner, officers responded to Cooper Street the morning of Oct. 31 to investigate a suspicious vehicle. When officers did respond, they found Jermaine Branch, 30, Davarse Hicks, 24, and Douglas Peters, 31, charging them with a variety of drug offenses. 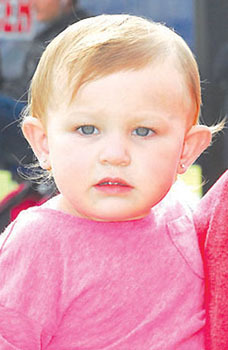 Branch was charged with felony possession of cocaine and possession of less than a half ounce of marijuana. Former General Assembly Rep. and Louisburg Mayor Lucy Allen, center, speaks with State Department of Transportation Secretary Nick Tennyson, right, and others during a ribbon cutting on Nov. 6, marking the ceremonial opening of the Rolesville Bypass. ROLESVILLE -- Rolesville Mayor Frank Eagles welcomed state, local and Franklin County leaders to a ribbon cutting ceremony that was more like a thank-you to those who worked hard to complete the road project that improved safety and commute times along U.S. 401 -- one of the region's main thoroughfares. Soon, Eagles said, he hopes he's invited to a similar ceremony up the road to the north. "[Former Rep. and Louisburg Mayor Lucy Allen] carried the ball to get this project done here," Eagles said in reference to Allen, who helped secure funding for the six-mile, $24 million project that took commuter traffic off Louisburg Road, which runs through the heart of town. Former U.S. 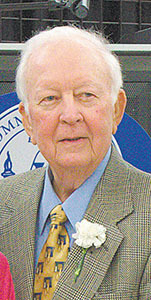 Congressman Tim Valentine of Nashville, NC, died Tuesday. He was 89. Valentine was born in Nash County but he graduated from Nashville High School and went on to earn a Bachelor's Degree from the Citadel Military Academy in Charleston. He served 25 months in the Air Force during World War II. After the war, he earned a law degree from the University of North Carolina Law School in 1952. YOUNGSVILLE -- Franklin County sheriff's deputies are looking for three suspects accused of robbing a man as he sat on his front porch. According to investigators, the man sat on his porch in the 100 block of Quail Drive the evening of Nov. 6 when he said three black men walked by. A short time later, the men walked by again, asking if he had a lighter. When the men approached, according to investigators, they stole the man's wallet containing more than $100. LOUISBURG -- The case against a former treasurer of the Franklin County Arts Council and president of a statewide student information association has been continued until next year. And it's gotten a bit more crowded. The Arts Council has retained a private attorney, Louisburg's Steve McFarlane, to help them navigate its case against Joe Baisley, a former school system employee who served as treasurer for the Arts Council. The owners of Louisburg's New Life Fitness Center held a ribbon cutting ceremony on Monday to officially mark the opening of their new 16,000-square-foot facility. The fitness center, which had been located on South Main Street, is now located on Johnson Street in Louisburg in what was once the Lowes shopping center. The center has been completely remodeled to include areas for various types of exercise equipment, weight and other fitness training as well as aerobics, yoga and martial arts classes. Triangle Insurance & Associates LLC held their ribbon cutting Tuesday to celebrate their new location at 222 N. Bickett Blvd in Louisburg. 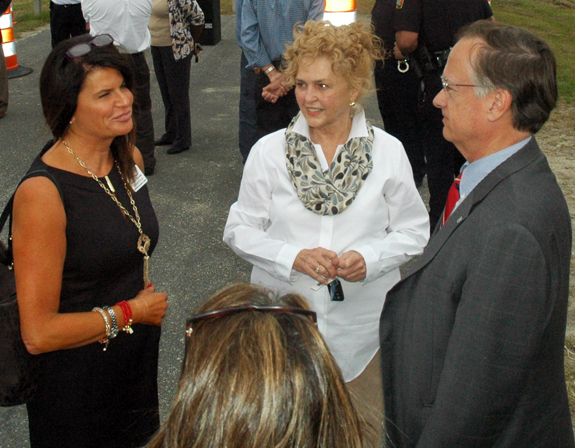 The event included local dignitaries, the Greater Franklin County Chamber of Commerce, family and friends. Pictured in photo above is the Triangle Insurance staff from left to right: Frankie Perry, Gabriela Storey, Bianca Smith, Jacob Alphin (owner), Ryan Hamme, J.M. Dickens (owner), Holly Boyd, Tyler Pollock, Jordan Bunn, Sarah Peoples and Mark Warren.